These are both excellent study Bibles for charismatic or Spirit-filled Christians or anyone curious about all things spiritual. The study notes put the emphasis on the spiritual side of things. Both are authored by well-known spiritual leaders of our time who understand this. The Bible is “the flagship product from which all other book products are spawned,” according to officials of the Christian Booksellers Association. Both bibles meet industry standards. The Spirit-Filled Life Bible is described as “a personal study Bible unveiling all of God’s fullness in all God’s Word”. It was first published in 1991 by Thomas Nelson Publishers. Jack W. Hayford (Editor), the founding pastor of The Church on the Way, has led a team of anointed scholars to produce the New Spirit-Filled Life Bible. This outstanding resource offers a fresh look at the scriptures and the work of the Holy Spirit. This Bible addresses important issues of Spirit-filled living in the context of solid biblical scholarship. The Fire Bible started out as the Full Life Study Bible; then it became the Life in the Spirit Study Bible. Now we know it as the new and improved Fire Bible first published in 2014. Originally conceived as a tool to help Pentecostal pastors and lay leaders preach, teach, and reach others with the gospel, this study Bible includes extensive notes, background articles on key issues, and authoritative commentary, along with dozens of other unique features. It was created by Life Publishers International. • Themefinders point readers to 12 major themes of the Pentecostal tradition. I will compare these two study bibles on various features that they offer based on a scale of 1 – 100. We will look at the different bible versions offered for each and what types of bindings are available. The study notes will be compared and rated as well. Both bibles offer study guides from a Spirit-filled perspective. That is a perspective that is sadly lacking in most study bibles on the market today. If you want to learn everything the bible teaches, you must learn about the spiritual realm. It is very present, though it is a different realm than the one we see with our physical eyes. Originally published in the New King James Version (NKJV) by Thomas Nelson Publishers. It is now also available in the New Living Translation (NLT) which is the preferred version. There is also a New International Version (NIV). It is now called the NEW Spirit-Filled Life Bible as the study guides have been updated. The English Standard Version (ESV) was first published in 2014. It is by far the most popular and easy to understand of all the versions available. There is also the New International Version (NIV) version especially for children and the King James Version (KJV) in large print. The Spirit-Filled Life Bible offers three versions, and the Fire Bible offers four. The Spirit-Filled Life Bible is available in NLT, NKJV, NIV. 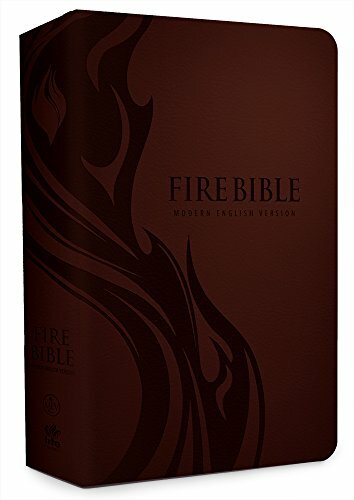 The Fire Bible is available in ESV, NIV, MEV (Modern English Version) and KJV. The ESV is the most popular now as it is the newest translation. Various sizes are offered including one with “comfort print”. There is also an e-book available. The bindings offered are the same for both Bibles. These bindings, paperback, hardcover, imitation leather, and genuine leather are the standard for all print bibles. However, the Spirit-Filled Life Bible also offers differences in font sizes for those with vision disabilities and an e-book version as well. Jack Hayford, the editor, is joined by many other anointed leaders from across the spectrum of Spirit-filled Christianity who compiled them. Rev. Donald C Stamps attended Southern Nazarene University where he graduated in 1964 with a B.A. in religion and, in 1965, with a master’s degree in religion. He received his Master of Divinity degree from the Nazarene Theological Seminary in 1968. In 1989 he completed the notes for the New Testament. It was published by Zondervan Corp. in 1990 entitled the Full Life Study Bible. Dr. Adams holds a Ph.D. from Baylor University in New Testament Studies. He is a contributor and associate editor of the Fire Bible, a study Bible published in over 40 languages and distributed on six continents. The study guides are the determining factor. The Spirit-Filled Life Bible is edited by Jack Hayford, a well-known spiritual leader. He has an anointing of purity and grace, yet he is a strong leader filled with God’s Spirit. The Fire Bible, on the other hand, has two editors listed: Rev. Donald Stamps and J. Wesley Adams. Very little is known of them except perhaps by members of the Assemblies of God churches. Their credentials are excellent, and I am sure their study notes are fine. However, being associated with the Assemblies of God, I feel that their scope may be somewhat limited to AG distinctive. I am not against the Assemblies. They are just one stream in the wide river of Pentecostal and Charismatic thought. It is close! Whichever you choose will give you much insight into spiritual matters and how they apply to you personally. Your understanding of the Bible will deepen and your faith will expand as you study either one of these excellent Bibles. Because I believe in learning from all streams of Pentecostal and Charismatic thought leaders, I recommend the Spirit-Filled Life Bible when making a choice between the two. Previous articleWhat is the Best Bible for New Believers? 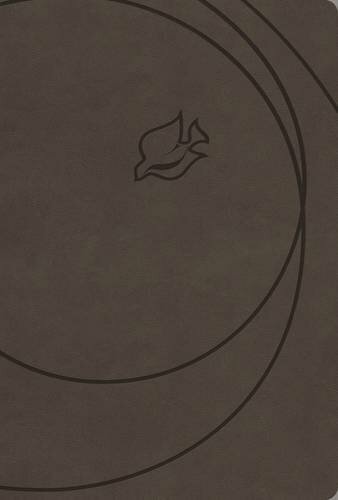 Next articleFire Bible Review: What Is It And How Is It Different From Other Bibles?